Years ago when my husband and I were first married, I remember purchasing a box of “NO BAKE OREO PIE” in the pudding aisle. I have no idea if they still sell it, but I remember we loved it. It was quick and easy to make. Fast forward many years and I was sitting here at the computer thinking about cheesecake. That happens. I find myself perusing pinterest and I see photos of cheesecake, or cookies, and suddenly I get the urge to bake! 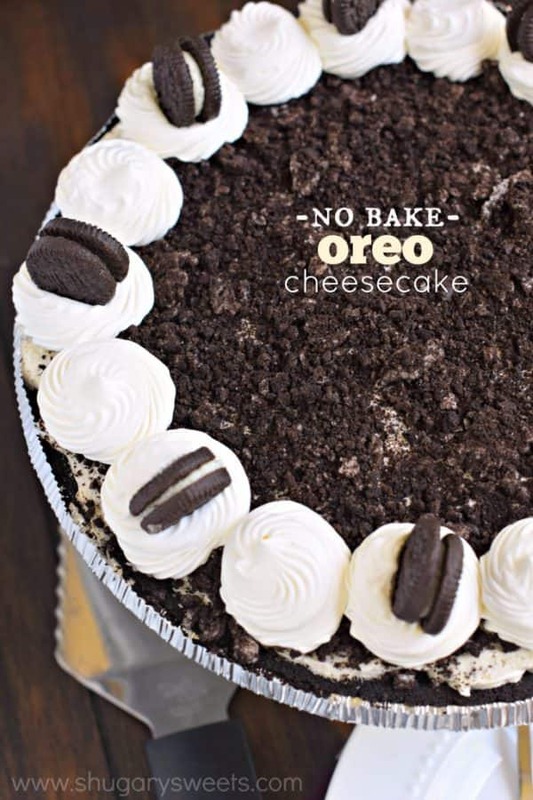 Fortunately, today’s NO BAKE OREO CHEESECAKE recipe does not require you to turn on the oven. Which is awesome when the weather is hot outside. Last week we had a hot tub put in and can I just say, when it’s 95 degrees outside, jumping into a hot tub is not refreshing. However, as the weather cools off, I’m sure we’ll be using this tub more often. Know what is refreshing though? This cheesecake. At the end of a long, hot day…a slice of this pie is perfect. It does make two pies, so be sure to invite some friends and family over for a slice! Or, you can do what I do, and just sit down with the whole pie and fork, and work your way through it. If you don’t actually cut a slice, it’s one serving, right? Begin by crushing your Oreo cookies for the cheesecake filling, keeping them slightly chunky. Set aside. In a large mixing bowl, beat cream cheese with sweetened condensed milk for about 3 minutes until smooth and fluffy. Fold in Cool Whip and your crushed OREO cookies. Pour evenly into prepared OREO pie crusts. In the same ziploc bag, crush remaining 12 OREO cookies into fine crumbs. Sprinkle evenly over the tops of the two cheesecakes. Using the remaining COOL WHIP, pipe small dollops around the edges to give it a finished look. Add mini OREO cookies if desired. 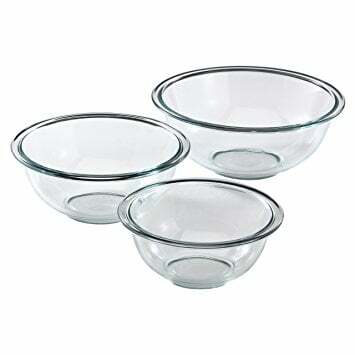 Refrigerate pies for 3 hours (or overnight). Serve and enjoy! Q: Can I make my own Oreo cookie crust? A: Absolutely! In a food processor, process 50 Oreo cookies (for two crusts) until a fine crumb. Add in 1 stick (1/2 cup) melted butter. Press into bottom of pie plate. You don’t have to bake it, but if you prefer a crunchy crust bake in a 350 degree F oven for about 8-10 minutes. Cool completely before adding filling. Q: Can I make Oreo cheesecake without sweetened condensed milk? 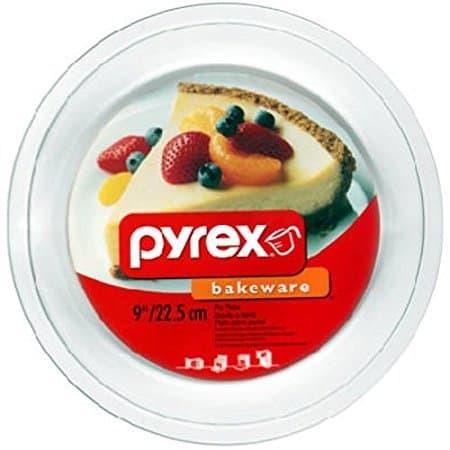 A: Yes, but I prefer use this in my no bake cheesecake recipes. I find that it adds the perfect amount of sugar and sweetness. It whips up so nice and fluffy with the cream cheese, and because it’s not being baked, there is no grainy texture from the sugar. Q: Can you freeze No Bake Oreo Cheesecake? A: Definitely. But it will change the consistency of the cheesecake. Q: Can I substitute other cookies for Oreos? A: For a fun twist, try swapping out the Oreos for Nutter Butter Cookies, or even the Mint oreos. Holiday themed oreos would give this a bit of color too! 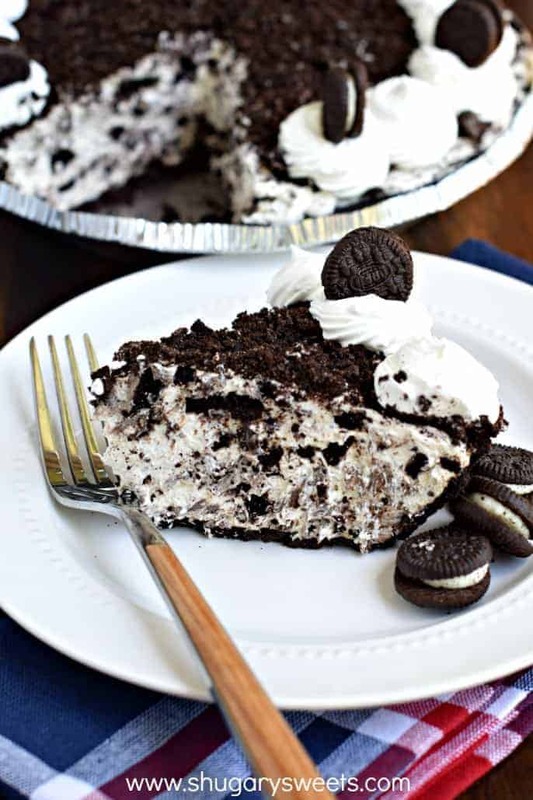 Love today’s OREO pie dessert? Here are a few of my favorite recipes using OREO cookies! 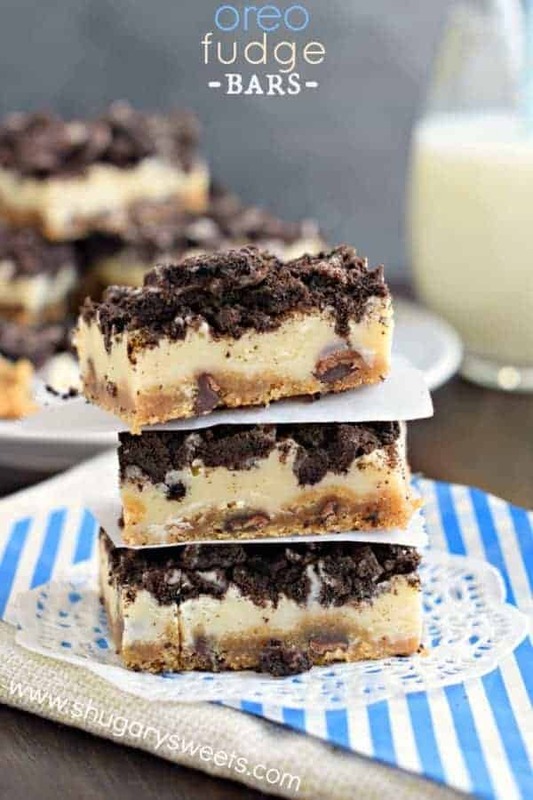 OREO FUDGE BARS: delicious cookie crust topped with white chocolate fudge and crushed OREO cookies! 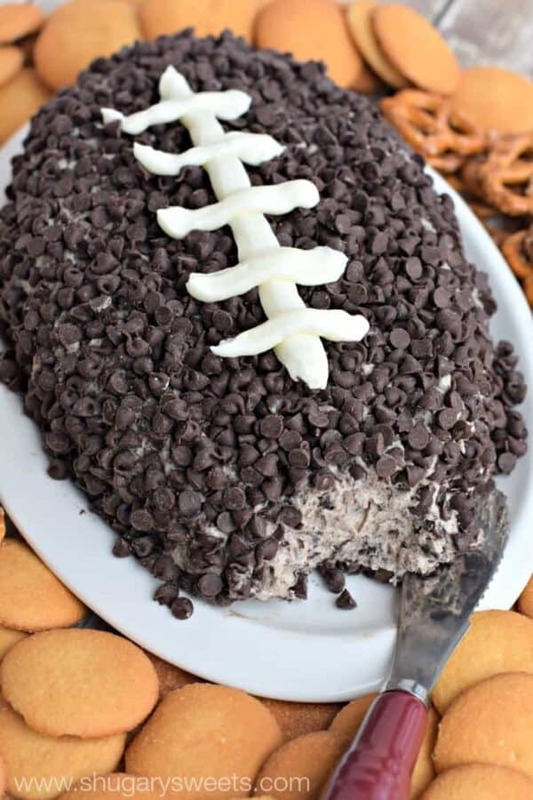 Cookies and Cream Cheeseball: no need to make the football shape, just enjoy with cookies and pretzels! 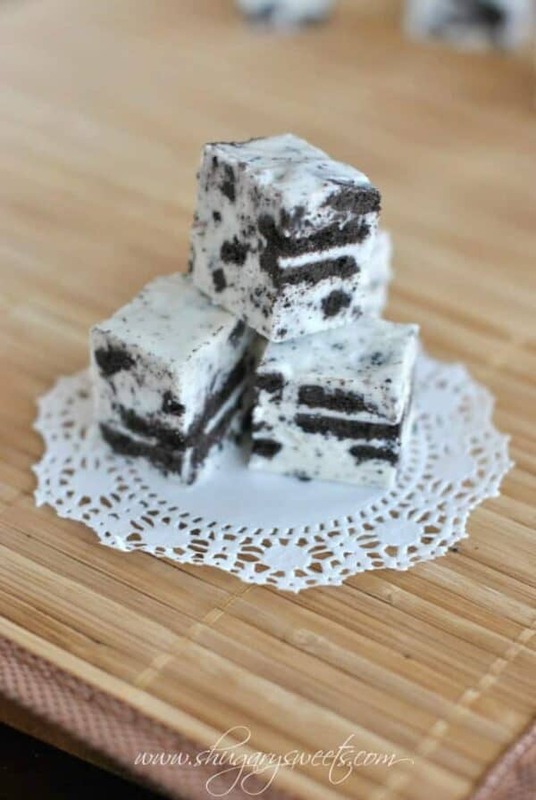 Cookies and Cream Fudge: no need to use a candy thermometer with this delicious fudge recipe! When you're looking for an easy dessert, this No Bake Oreo Cheesecake recipe is a creamy, flavorful pie! Easy to throw together for a delicious treat! In a large ziploc bag, crush 24 OREO cookies, keeping them slightly chunky. Set aside. 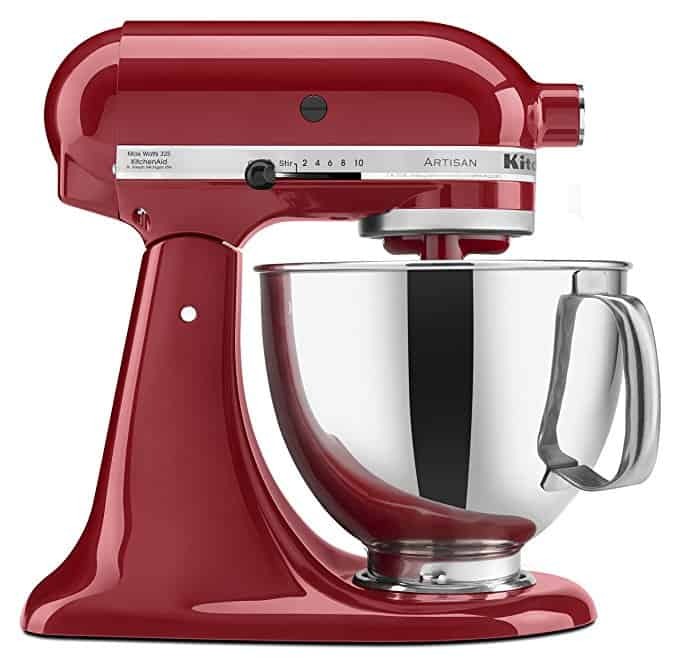 In a large mixing bowl, beat cream cheese with sweetened condensed milk for about 3 minutes until smooth and fluffy. Fold in 12 oz of Cool Whip and crushed OREO cookies. Pour evenly into prepared OREO pie crusts. In the same ziploc bag, crush remaining 12 OREO cookies into fine crumbs. Sprinkle evenly over the tops of the two cheesecakes. Using the remaining 4 oz of COOL WHIP, pipe small dollops around the edges to give it a finished look. Add mini OREO cookies if desired. 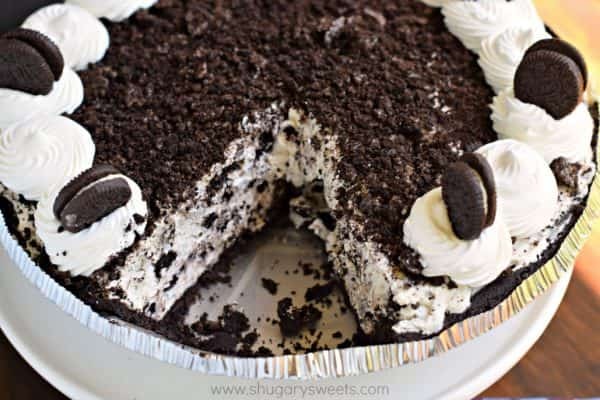 *Today’s recipe for No Bake Oreo Cheesecake was originally published on Shugary Sweets on June 23, 2016. They still sell that no-bake cheesecake! I’ve seen it and wondered about it for years. Now I’m tempted to buy it! This looks amazing, of course. I was sold as soon as I saw the title! 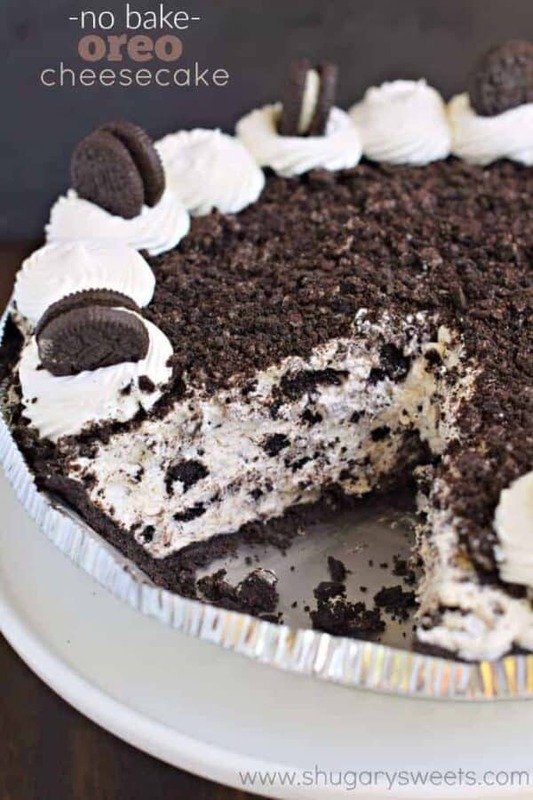 And just like that I’m craving cheesecake…and Oreos…Cool Whip! And it’s really too early to be eating those things…at least that’s what I’m telling myself!!! 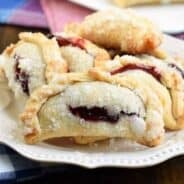 Love this fun and easy pie! This looks quick, easy and delicious! YUM! My husband would love this! Everything about this screams him!! This no bake Oreo cheesecake was just what I needed to see today! I love no bake cheesecakes and this one has my name all over it. Great tip on using the sweetened condensed milk too! I want to weep with happiness at the very thought of this oreo cheesecake. It looks perfect. Yay for yummy, no bake desserts! Looks so creamy! It’s been miserably hot here recently, so I haven’t had any desire to turn on the oven. Your no-bake cheesecake seems perfect for scorching hot days like now! 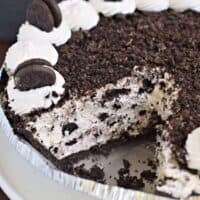 I remember those NO BAKE OREO PIEs in the pudding aisle – when I was prego, I had such a craving for them – maybe the reason why my daughter is infatuated with Oreo’s and I know if she saw this,she’d be ecstatic! Love the tip about the condensed milk use vs risking the grainy texture of sugar in this no bake delight! Thanks so much for this recipe! I am sure my husband and some other family members would love this. I remember that no-bake oreo pie, too! They do still have it! I look at it sometimes when I’m in the baking aisle, but I just can’t bring myself to buy that anymore. This cheesecake looks SO much better, Aimee! So perfect for a summer dessert! I love a good no-bake cheesecake! I need to make this for our next bbq! This is so pretty!! I made a pie just like this recently. No bake, cream cheese and Oreo are a winning combo. Love how you used mini oreos to decorate the cheesecake!! 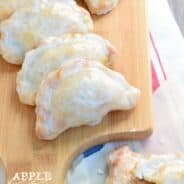 what a fun and easy recipe! my bf loves cookies and cream everything so this is great! Can I freeze one of the pies and bring it out for another occasion? I have a recipe for something similar that uses real whipped cream egg whites and gelatin. My son requests it every summer. Needs special handling so I might try this recipe to see if it is as tasty and light. Loved this, absolutely divine!! and so easy to whip up. I made my own Oreo base and whipped up my own double cream, also added a couple of tablespoons lemon juice after folding in the whipped cream and mixed again to thicken texture a little more then folded in the roughly crushed oreo cookies. Went down a treat with all. Thank you for sharing. So glad you loved it, love your tips too! Yay for delicious no bake desserts! And yes, if it’s not sliced, it just serves one, hehe. And when you’ve made two at once, no one needs to know there was ever a second one! Delicious, oreo cheesecake is the bomb and not having to turn the oven on is the best!! I love oreos, I love the name of your blog, I love sweets, anything with sugar! 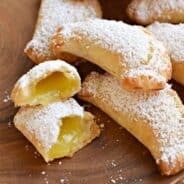 I have been seeing your recipes all around Pinterest. Love those Shugary Sweets!. I don’t see where you have the exact amounts of all the ingredients. I would like to make this. It’s like you made this dessert especially for my family! My husband and daughter love all things OREO and cheesecake , and I don’t have to turn on the oven to make it for them! Perfection! This sounds so good! And, I’m glad you included the cookies and cream cheese ball in the post. I totally want to make that for Super Bowl! Can this be made in a regular 9″ springform pan? Any adjustments to ingredients? Thanks! Can’t wait to make it. This turned out to absolutely delicious! You are a genius!